There’s an The Avengers movie out in movie theaters today and it’s a good one by all accounts. Hooray! There is not, however, an The Avengers video game out alongside said movie. Hooray! Fine video games based on comic books have been released in the past (Batman: Arkham City) and even halfway decent video games based on movie adaptations of comic books (Spider-man 2 for GameCube and PlayStation 2) but there have been far fewer of the latter. Games based on Marvel’s recent cinematic efforts in particular have been uniformly bad. Sega’s Iron Man, Thor, and Captain America games ranged from inoffensive-but-bad all the way to ebola-style-gut-disintegration-bad. No one has to endure that with The Avengers. In a different world though, there would have been a game for the Xbox 360 and PlayStation 3 based on The Avengers out in time for the movie. Not only that, but it was looking pretty slick before it was cancelled. THQ’s The Avengers was in development at THQ Studio Australia, also known as Studio Oz, right up until the studio was shuttered and its 200 employees were laid off in August 2011. According to leaked information about the cancelled game at Unseen 64, Studio Oz planned to switch things up with The Avengers, attempting a very different sort of movie tie-in in an effort to replicate the level of quality Rocksteady, Warner Bros. and Eidos achieved with Batman: Arkham Asylum. The Avengers was conceived as a first-person game that put you in control of the various heroes on the team. This made for some impressive, disparate play styles, with the Hulk jumping and punching enemies while early footage of an Iron Man level saw Mr. Tony Stark flying onto a Skrull ship and blowing it up from the inside. 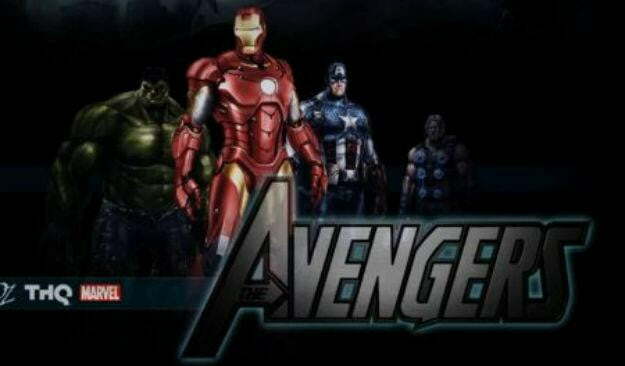 Here’s another interesting fact about the game’s development: Studio Oz had started work on The Avengers around the beginning of 2010, before it had even been publicly announced that Joss Whedon would direct the movie. This means that some of the film’s broad plot points were already in place before the cult director had even finished his script for the movie. That Marvel Studios, always planning ahead. Would The Avengers game have actually been good, bucking the trend of Marvel movie license games? Doubtful. Studio Oz didn’t have the best track record, having only worked on licensed games like SpongeBob SquarePants: Lights, Camera, Pants! and Megamind: Ultimate Showdown during its eight years in operation. Its games based on Avatar: The Last Airbender weren’t terrible though, but they were hardly the stuff of legends, which is exactly what a great Avengers game needs to be. More screens and early art from the game can be seen here.